A new winter project has begun, Jerry is installing some new lights in the farm shop. 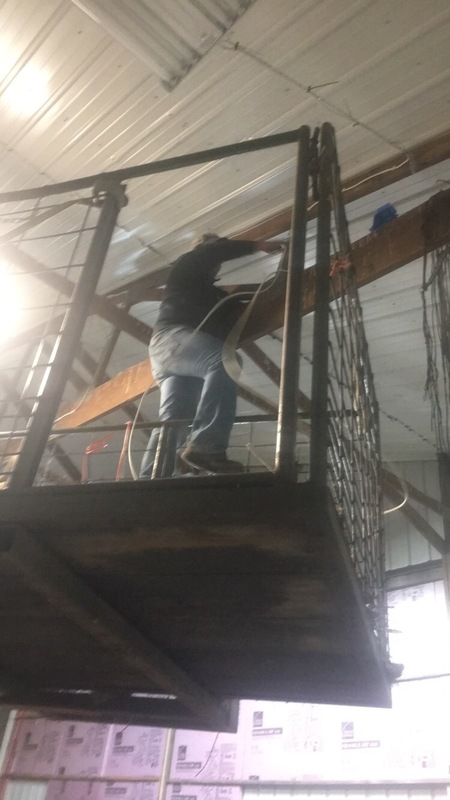 He is always looking to improve and make things easier and the brighter lighting will allow him to work easier and longer on machinery in the shop. 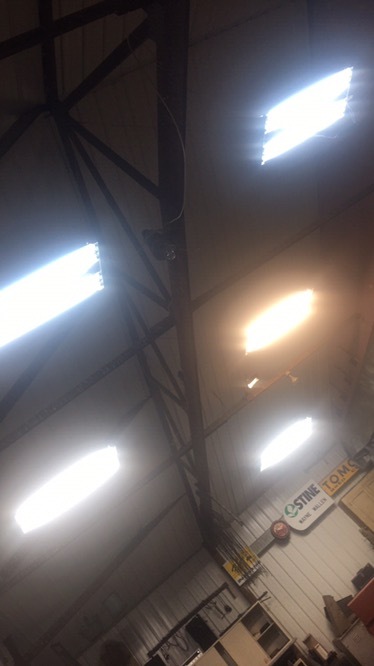 They are T5 fluorescent lights and are being hung between the rafters across the shop. Jerry isn’t the electrician he thought he was and ran into some wiring issues. A neighbor (J. golden) came over with his voltage tester and narrowed down the wiring problem. He has five lights installed so far and five to go. In the mornings he is taking care of the cows hauling them hay and checking mineral, they are all on cornstalks this time of year. A bunch of parts have been ordered for the planter and he will get that into the shop next week to do some service and maintenance before spring. He has a long list of machinery that needs service before spring and will spend most hours in the shop this time of year. 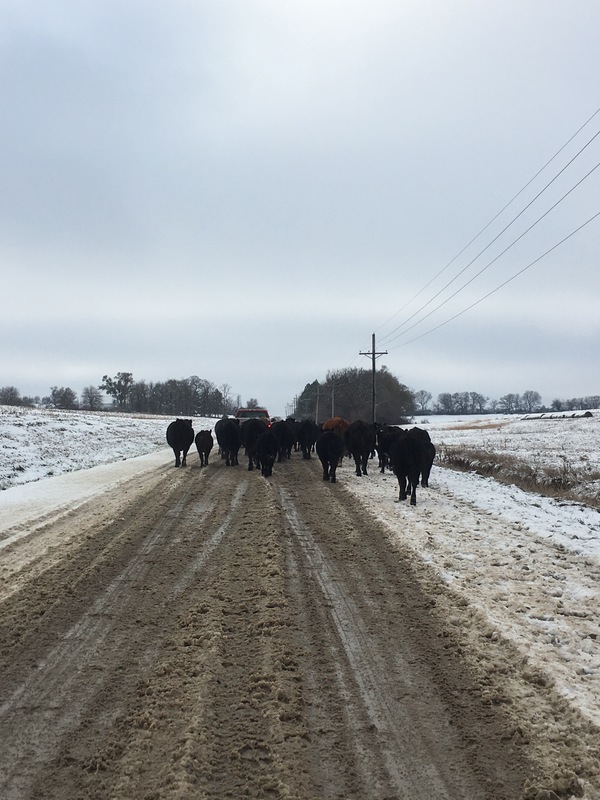 If you were traveling the gravel roads north of Palmyra last Sunday you may have seen a few surprises coming at you on the road. Jerry and friends moved his herd back to the home farm where his parents are to be wintered on cornstalks. He rents a pasture five miles away and decided to move them down the road rather than catching them to move on a trailer. It’s less stressful on the cows to keep them in one group. He would otherwise set up catch pens and round them up in multiple groups (5 or 6 trips) with the stock trailer and move them home. The whole cattle drive took less than two hours. 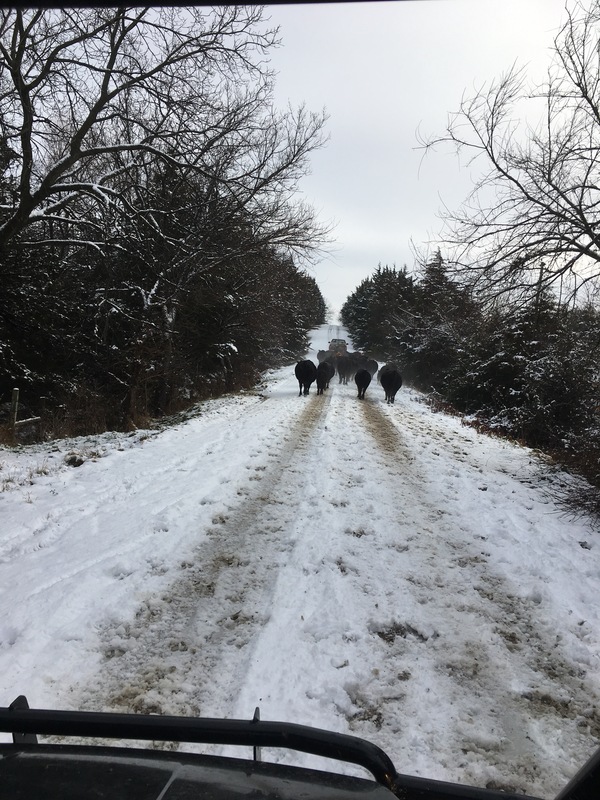 The cows followed a lead pickup so they knew the way and three 4- wheelers followed up the rear to keep them moving. 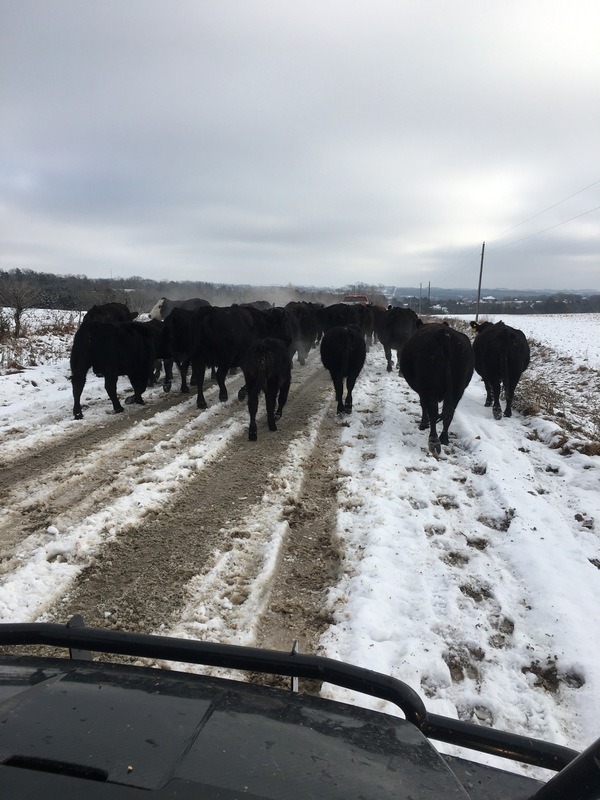 The first mile is always rough because the cows are excited but they soon settle down and keep on moving.